We know we are only half of the way through the year but the ocean of the talent around has left us drowned in the celebrity paradise.Which is why we have piled up a list of 5 top most searched celebrities on google . So let’s see who is hot this year. Justin Drew Bieber is a Canadian pop musician, actor, and singer-songwriter. His debut extended play, the seven-track My World, was released in November 2009, and was certified platinum in the United States. He became the first artist to have seven songs from a debut record to chart on the Billboard Hot 100. Bieber has received numerous awards, including both Artist of the Year Awards at the 2010 American Music Awards and the 2012 American Music Awards, and was nominated for Best New Artist and Best Pop Vocal Album at the 53rd Grammy Awards. Born on July 22, 1992, Selena Marie Gomez is an American singer and actress. Gomez first made her debut appearing as Gianna in Barney & Friends, lasting from 2002 to 2004. Following this, Gomez had cameo roles in films such as Spy Kids 3-D: Game Over (2003) and Walker, Texas Ranger: Trial by Fire in the year 2005. In 2006, Gomez appeared as a guest star on an episode of the Disney Channel series The Suite Life of Zack and Cody, as well as Hannah Montana. 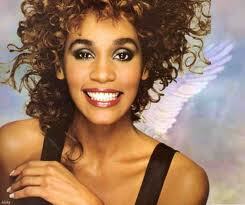 Born on August 9, 1963, Whitney Elizabeth Houston was an American recording artist, singer, actress, producer, and model. In 2009, the Guinness World Records cited her as the most awarded female act of all time.Houston was one of the world’s best-selling music artists, having sold over 200 million records worldwide.She released six studio albums, one holiday album and three movie soundtrack albums, all of which have diamond, multi-platinum, platinum or gold certification. Unfortunately, she left the world on February 11, 2012. Born on october 21, 1980, Kimberly Noel “Kim” Kardashian is an American television personality, fashion designer, model, and actress. Born and raised in Los Angeles, California.She and her family were commissioned to star in the reality television series Keeping Up with the Kardashians. Its success has led to the creation of spin-offs including Kourtney and Kim Take New York and Kourtney and Kim Take Miami. In 2010, Kardashian was named the highest-paid reality television personality, with estimated earnings of $6 million. Born on december 8, 1982 , Onika Tanya Maraj known by her stage name Nicki Minaj, is a Trinidadian-born American rapper, singer, songwriter, actress, and television personality. Minaj’s debut studio album Pink Friday released in 2010 peaked at number one on the US Billboard 200 and was certified platinum by the Recording Industry Association of America (RIAA). 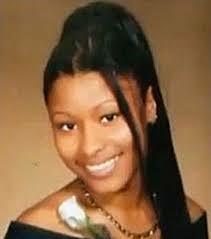 Minaj became the first female solo artist to have seven singles simultaneously charting on the Billboard Hot 100. Her second studio album Pink Friday: Roman Reloaded released in the year 2012 topped the Billboard 200 and became one of the best-selling albums of that year.